We are pleased to announce the opportunity for a current postgraduate student working in the history of science, technology and medicine, or a closely-related field, to work with the Curator of Natural Science at Bristol Museum & Art Gallery to research the Jamaican Natural Science collections. The Fellowship is worth £2,000 which will support up to one month’s work (20 working days) on a part-time basis from April 2018, with further funding of up to £1,000 towards project outputs. All work is expected to be complete by the end of December 2018. The collections to be studied comprise 3 volumes of bound herbarium (1786-1790s) collected from Jamaica by Bristol-born Dr Arthur Broughton; 4 volumes of illustrations of Jamaican natural history and accompanying handwritten text including The Elegancies of Jamaica by Reverend John Lindsay (1758-1788); and an unpublished manuscript of Robert Long containing his theorems on the natural history of Jamaica with drawings (1750s). This placement provides the opportunity to develop and extend the enormous potential of this collection. 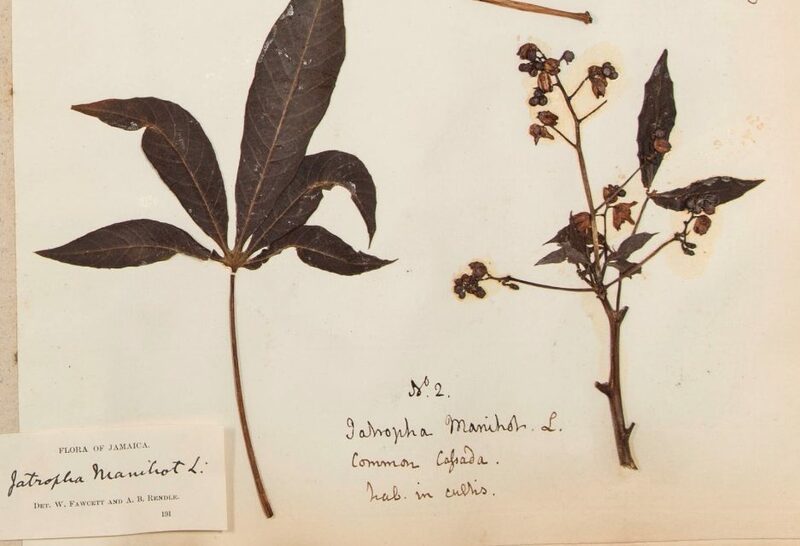 The curators are keen to understand more about the historical and contemporary uses of the plants in food and in medicine and use these to build resources or activities that increase engagement with the collections, including preparing material for talks, digital resources, or adding to the museum’s catalogue. The museum already has links with the Natural History Museum in Jamaica, and Ujima Radio, Bristol, and the curators are keen to continue to strengthen relationships with the Jamaican communities in Bristol and Jamaica. The successful appointee will have a unique opportunity to work within a multi-disciplinary museum. The Fellowship offers the option of carrying out collections research and gaining training in the curatorship of botanical collections in addition to developing skills in public engagement. Please send electronically or in hard copy an expression of interest of no more than one side of A4 and a CV to Rhian Rowson ([email protected], Bristol Museum & Art Gallery, Queens Rd, Bristol, BS8 1RL), Natural Sciences Curator, to whom enquires can also be directed by telephone (0117 9223597). The deadline for receipt of applications is 9th March 2018. For more general enquiries about the scheme contact Dr Liz Haines at [email protected]. Please note, shortlisted candidates who are not British citizens will be required to provide proof of their eligibility to work in the UK.